Crossover. :3. This was a birthday card for a friend. X). 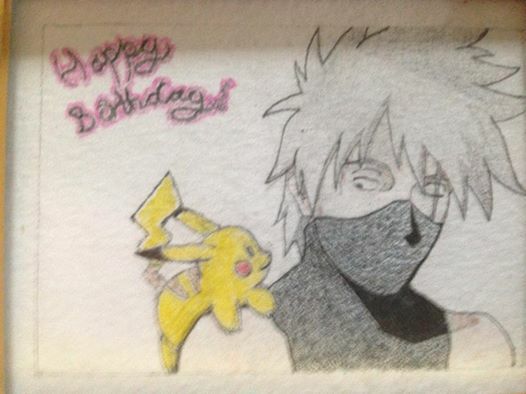 Wallpaper and background images in the Pikachu club tagged: photo birthday card kakashi pikachu crossover.